Developing a lean product is no easy task. It requires a focus on the product’s essence in order to develop only what’s necessary to meet the client’s/user’s needs. This is precisely where three specific activities come in for the Product Owner (PO) to master. This article explains these three skills, fundamental for creating high ROI (return on investment) products. Companies are always making the mistake of developing “everything”, to be “sure” of making the perfect product, with plenty of functionalities and which do everything right from Day 1. But the result is usually an expensive product, which doesn’t work as it should and is high maintenance. A good tip to avoid making this mistake is to slice your product. Slicing a product means a constant search for the smallest part which actually aggregates value for the final user. According to the answer, you must develop the minimum functionality to resolve the part of the most important problem, launch the product quickly, collect the results and adapt them according to client and user feedback. Repeat the cycle. Discard and remove everything not relevant to the list of product functionalities to be developed. A good example of discarding is Apple’s iPod. When it was launched it only had one cycle of clicks offering all essential functions, while other MP3 players on the market did everything: radio, video, took photos etc. According to Rodrigo de Toledo, “Every list of two or more items must be prioritized“. There is always a lot to do and probably not a lot of time, manpower or resources available. Demand will always be greater than our capacity. So we must always prioritize according to value. When a new idea or necessity emerges, ask yourself whether the new functionality is fundamental to the product’s success. If the answer is no, simply discard it. This will help us achieve leaner products which contain only fundamental functionalities. Also, it will help maintain a better organization and maintenance. Like what you read? 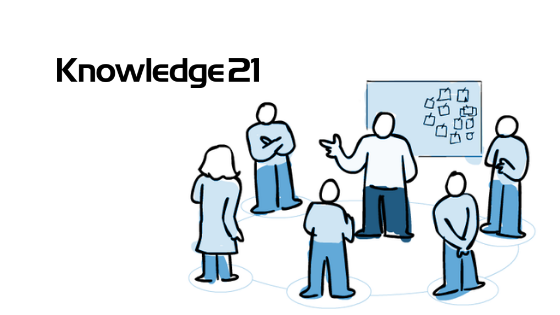 Want to improve your Product Owner knowledge and skills? Then don’t forget to check out our Certified Scrum Product Owner training!